You may be worried about how your new baby is going to affect your time, sleep and your social life. You may also feel inadequately prepared for such a huge responsibility. This baby will depend entirely on you, and you may be unsure about his or her everyday needs, such as feeding, burping, bathing, changing nappies, or even the correct way to carry your child. When Colin Joseph became a father, he took paternity leave and decided to work more regular hours. He says: ‘Looking after your baby is all new to begin with. The first things you need to do can be quite daunting, such as bathing, changing nappies and feeding, but you do get used to it. It becomes routine and natural.’ The more time you spend caring for your child, the easier these things become. 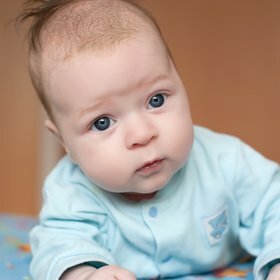 It may seem as if your child’s mother has all the answers – after all, she has spent nine months carrying the baby with her – but she is new to this as well, and she needs your help. This is the time to ask for extra support from family and friends willing to give it! This could be babysitting or just being on the other end of the phone when you need to let off steam. If you live with your baby’s mum, make sure you take it in turns to see to the baby at night, so you both get some sleep and all the responsibility isn’t on one of you. Be as hands-on as you can be – change nappies, read stories, play games – so you get to have that bonding time with your baby. Even if you’re back at work, try to take on a share of the housework to give your partner a break. The sooner you have a go at the everyday things – changing nappies, bathing, cuddling at ‘crying time’ – the less intimidating they will be. Know that your partner is new to this too – don’t assume she has all the answers. Let your partner know that you want to share the responsibilities with her, to reassure her that you care. Prioritise activities – if your baby is keeping you up all night, make sure you rest when you get a chance. Take one step at a time – you can’t know everything and you won’t get everything right the first time. Being a new parent is one of the biggest challenges anyone can go though, take your time and keep trying.